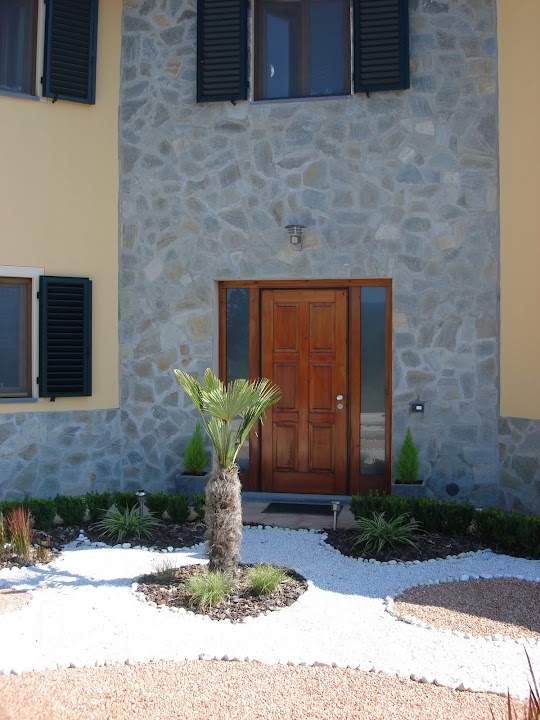 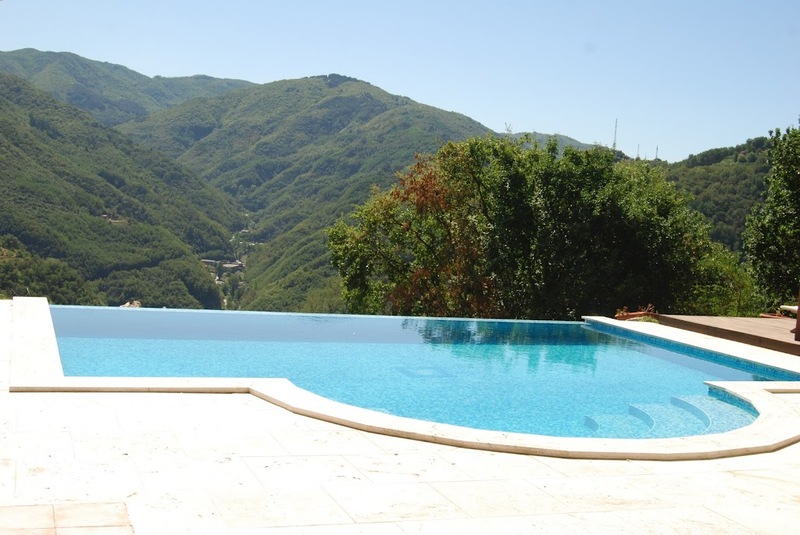 In an absolutely stunning position with amazing views, recently built villa with 3 bedrooms, infinity pool, landscaped gardens, various terraces and loggias. 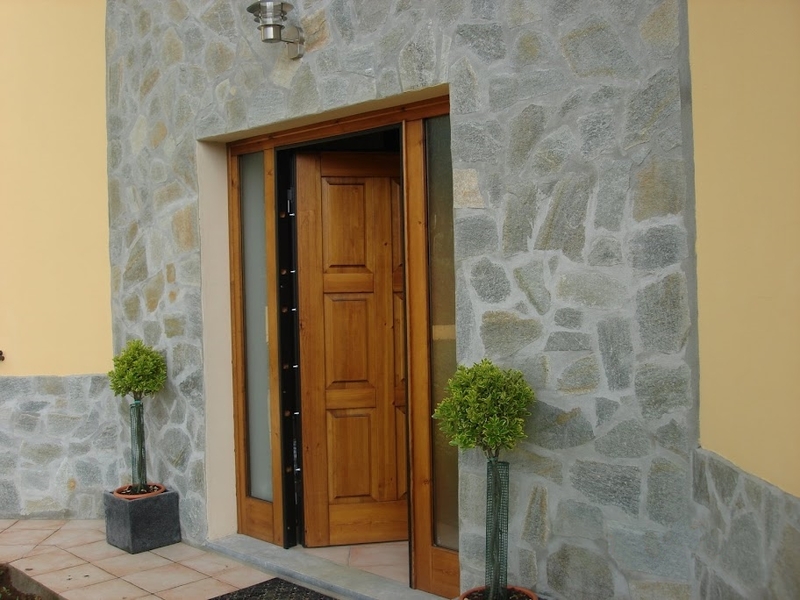 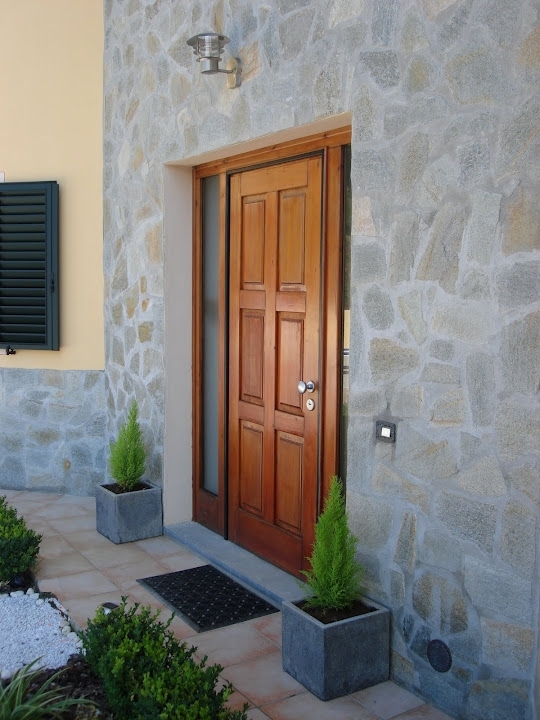 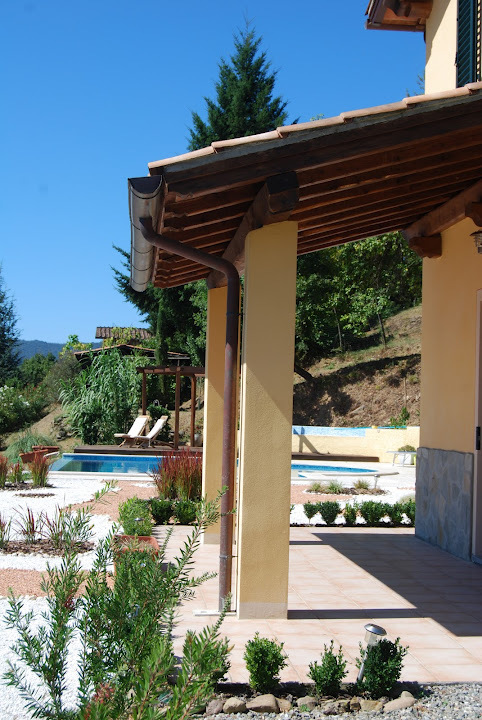 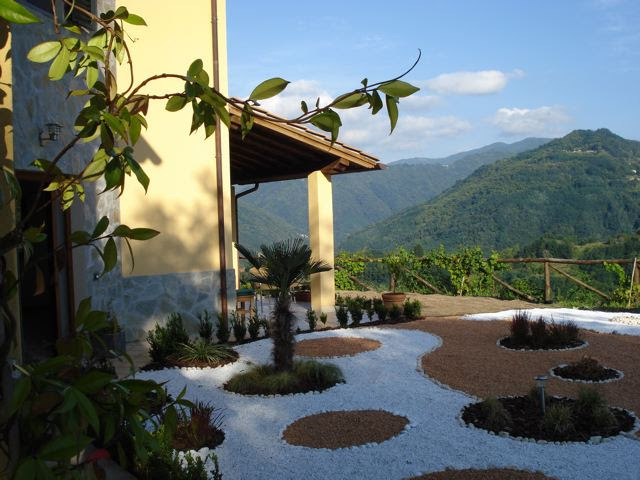 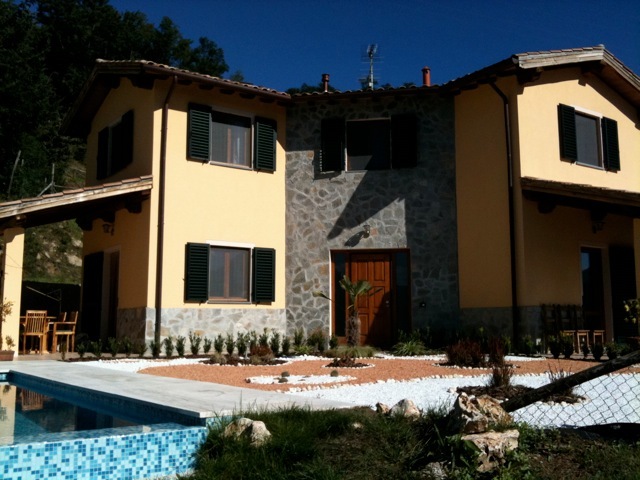 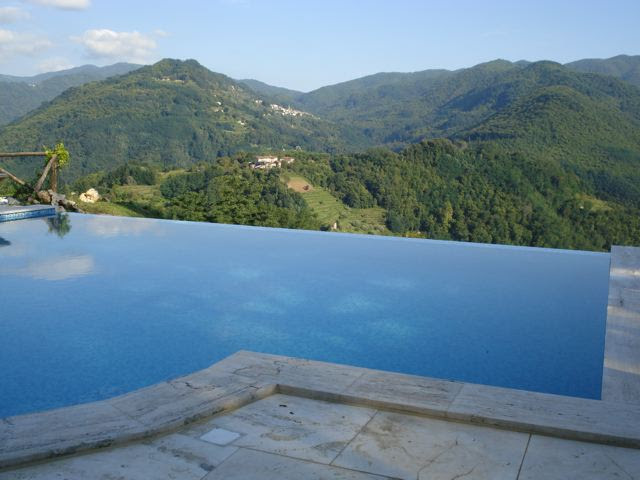 In an absolutely stunning position with amazing views of Bagni di Lucca and the surrounding hills and valleys, this recently built villa has 3 bedrooms, infinity pool, landscaped gardens, various terraces and loggias, barbecue, outside shower for pool area, private road. 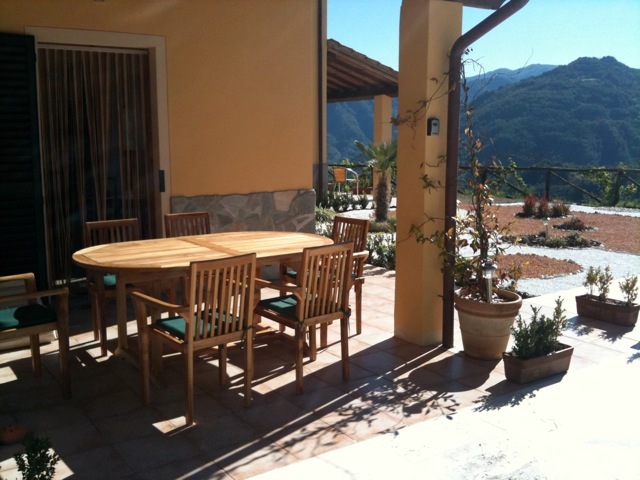 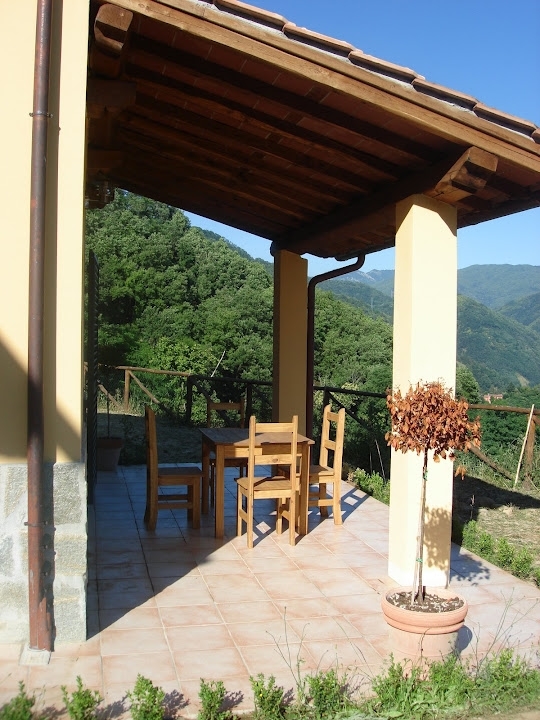 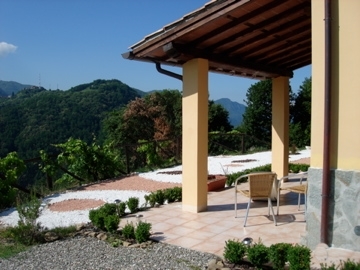 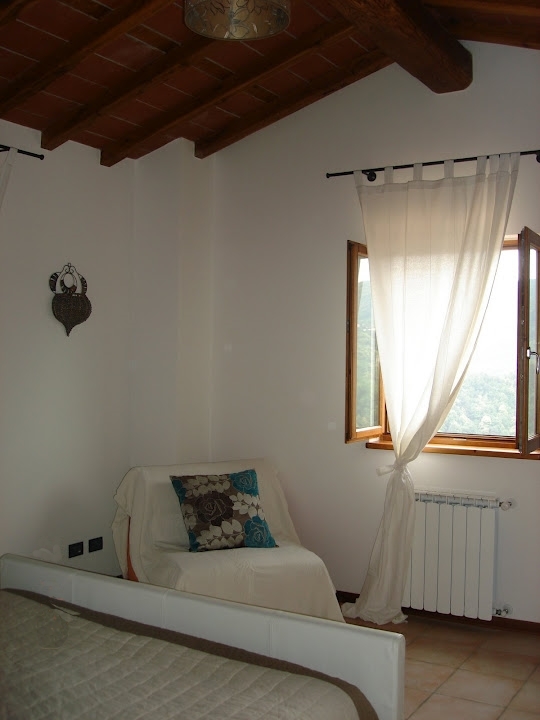 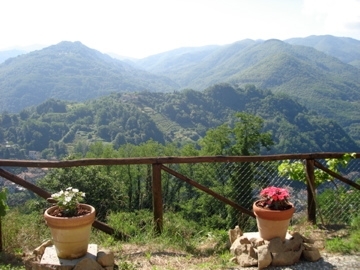 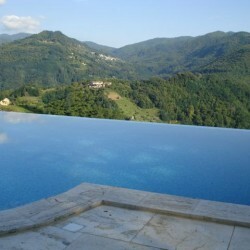 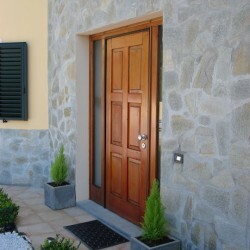 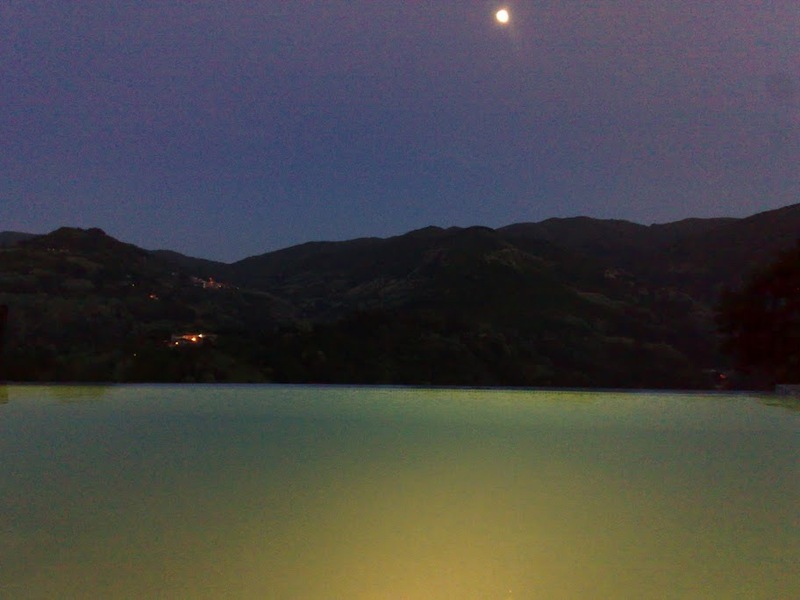 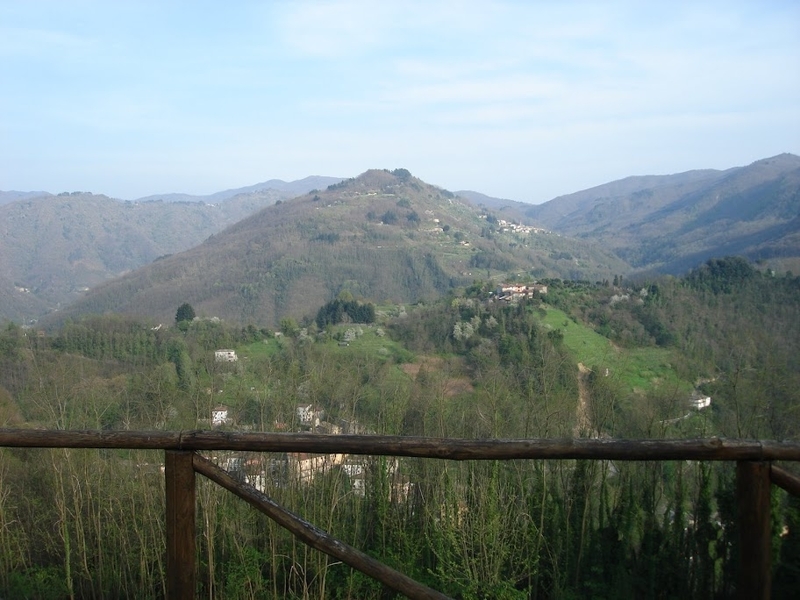 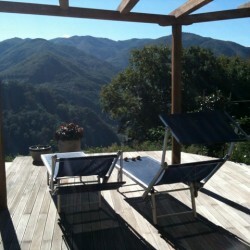 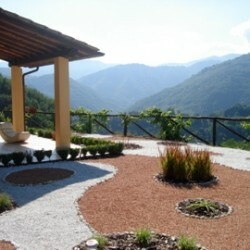 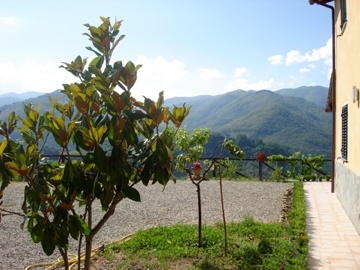 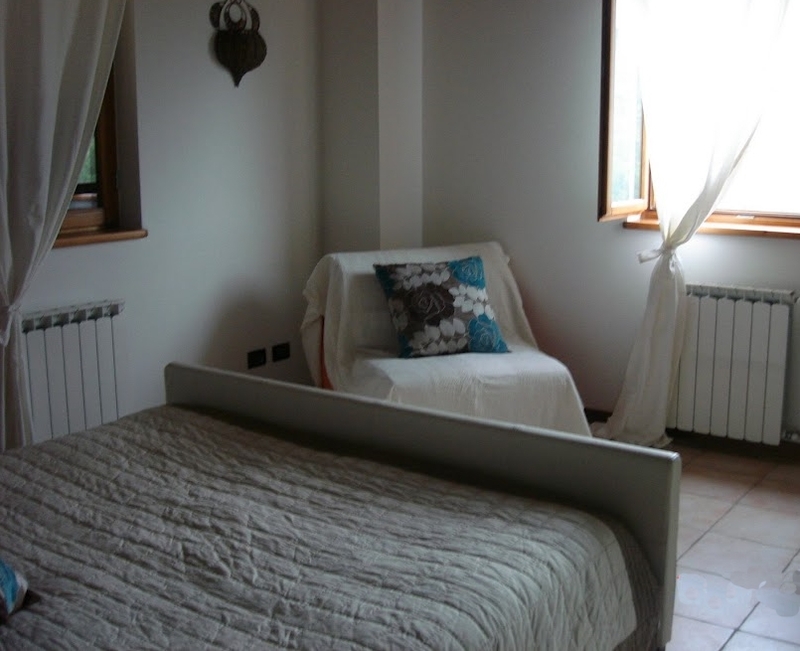 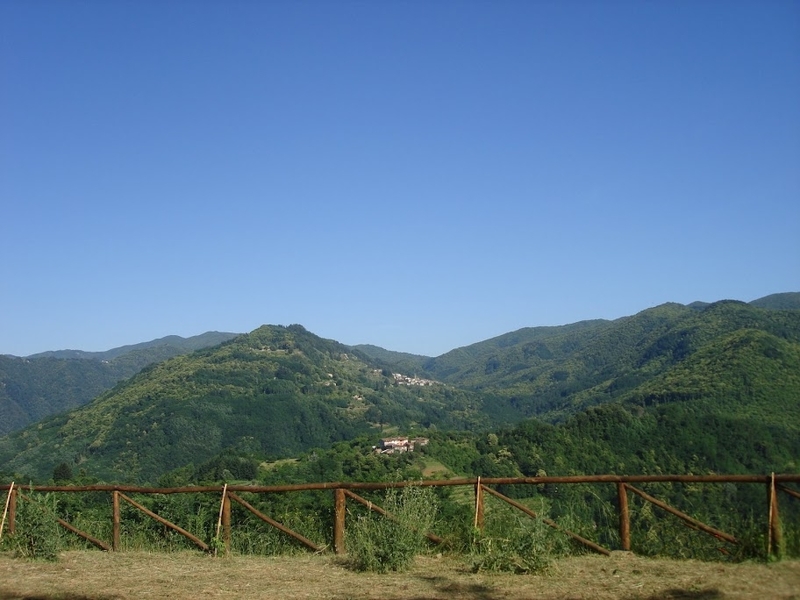 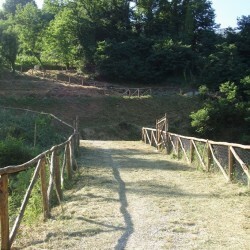 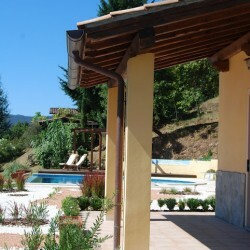 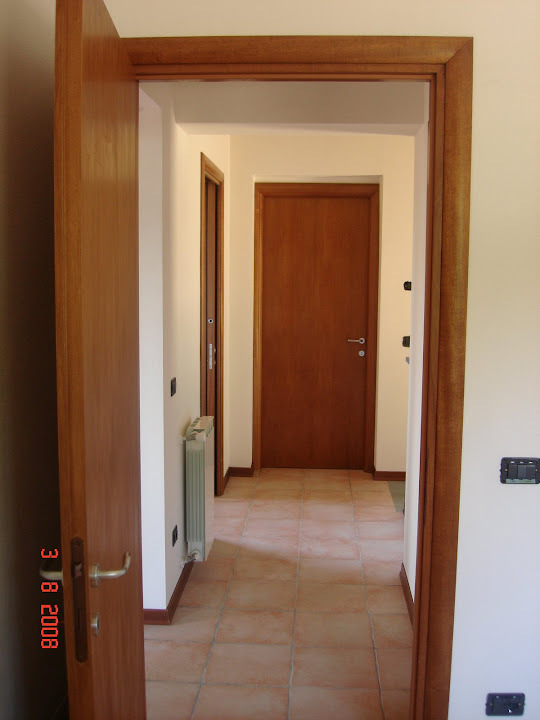 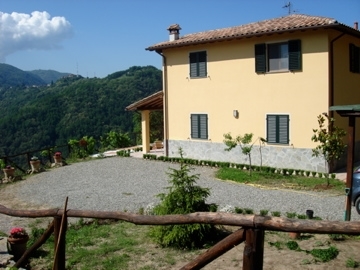 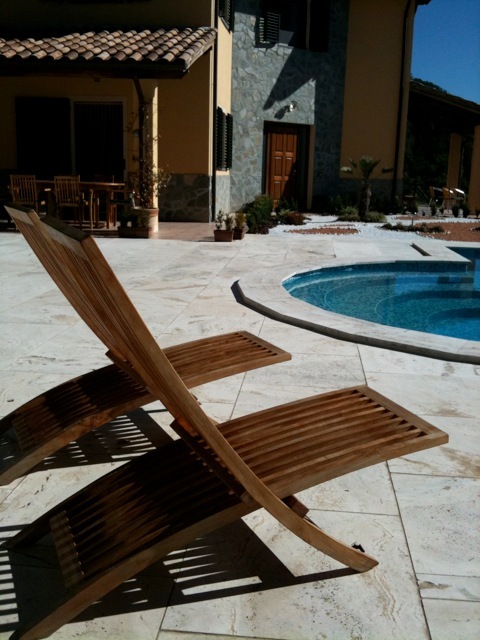 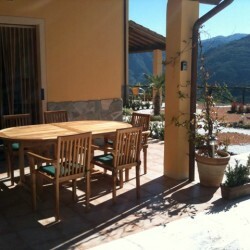 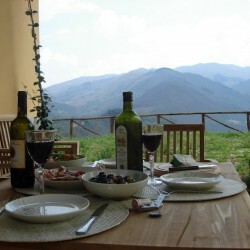 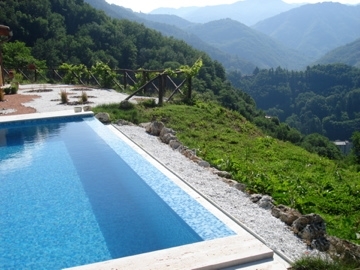 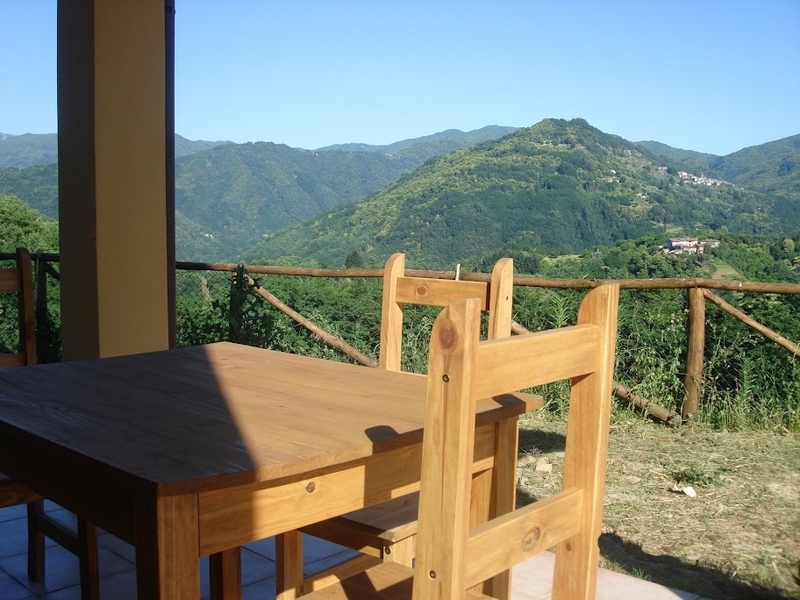 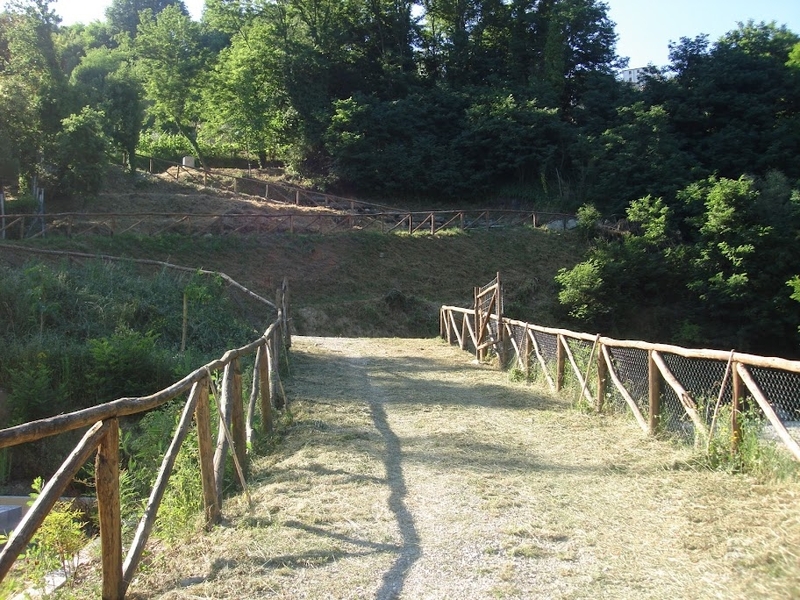 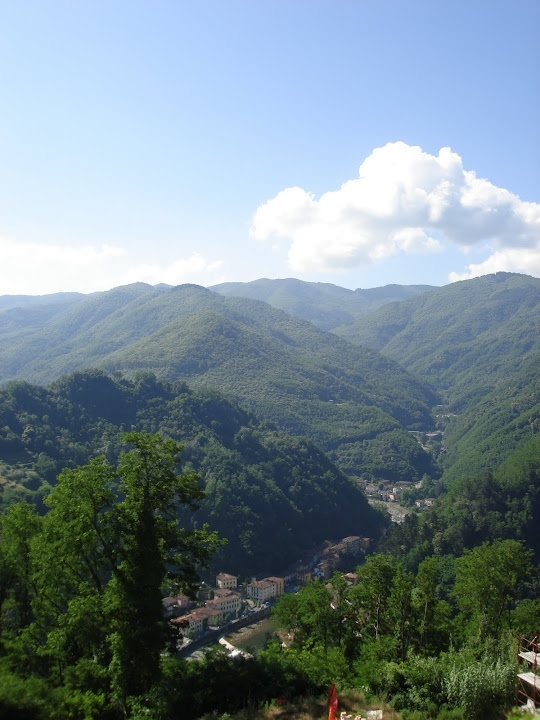 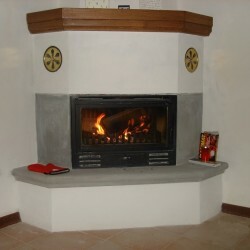 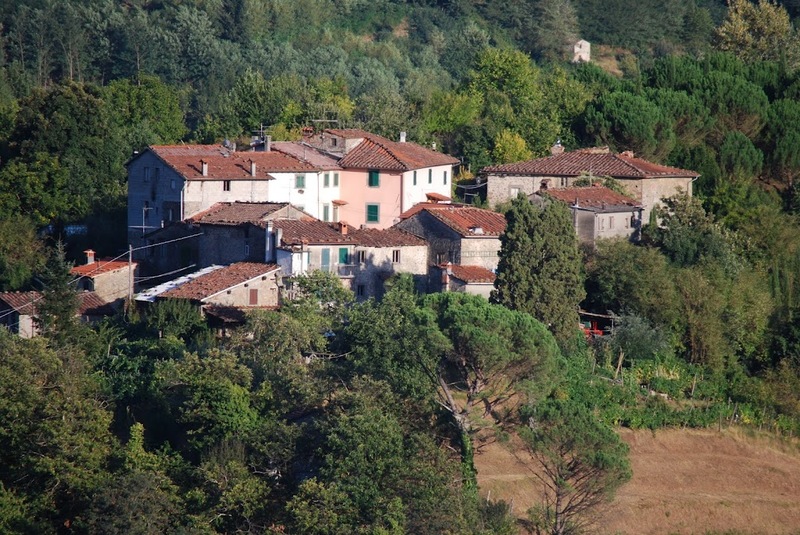 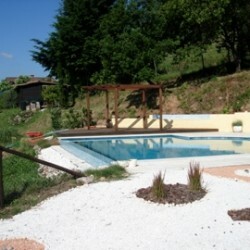 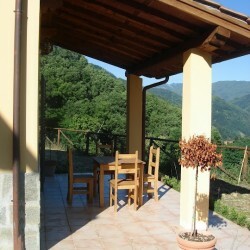 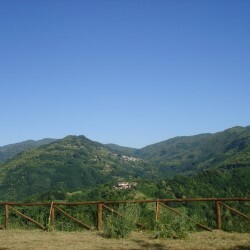 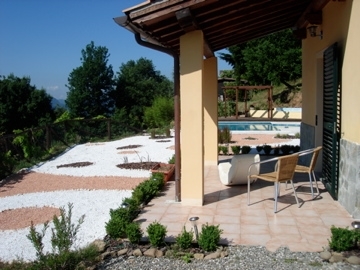 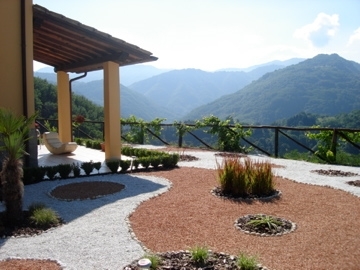 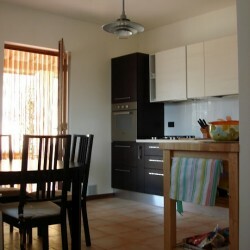 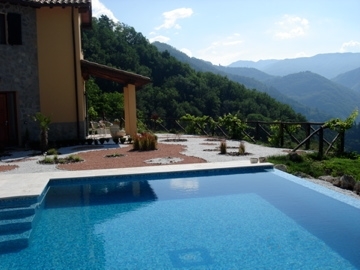 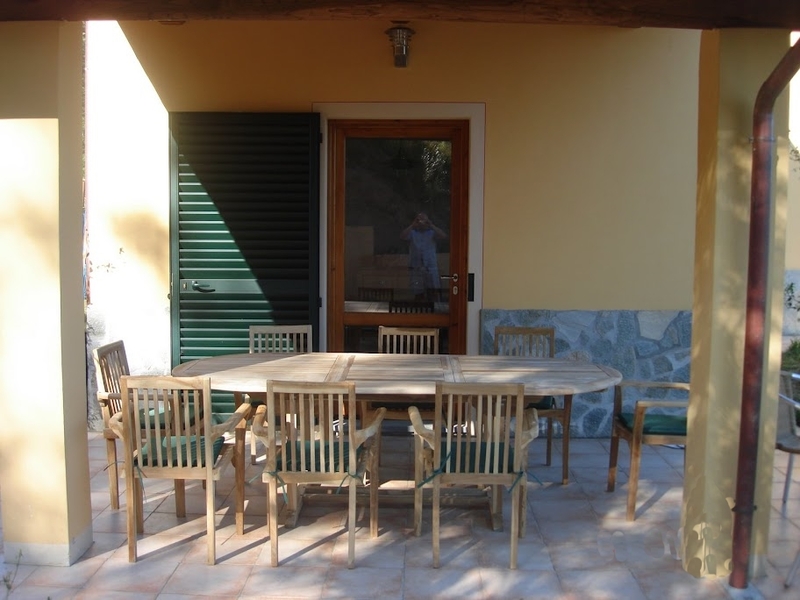 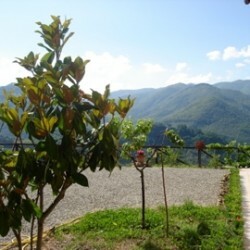 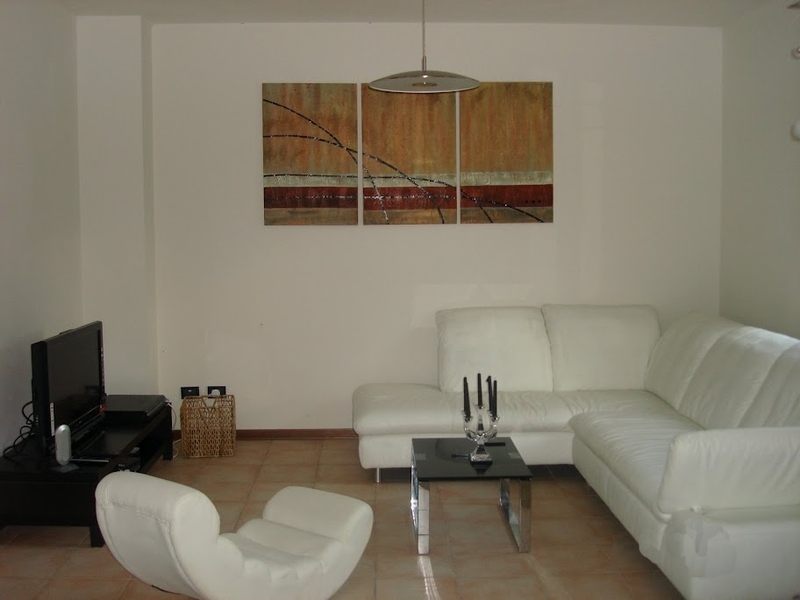 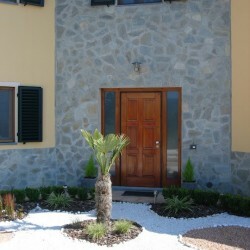 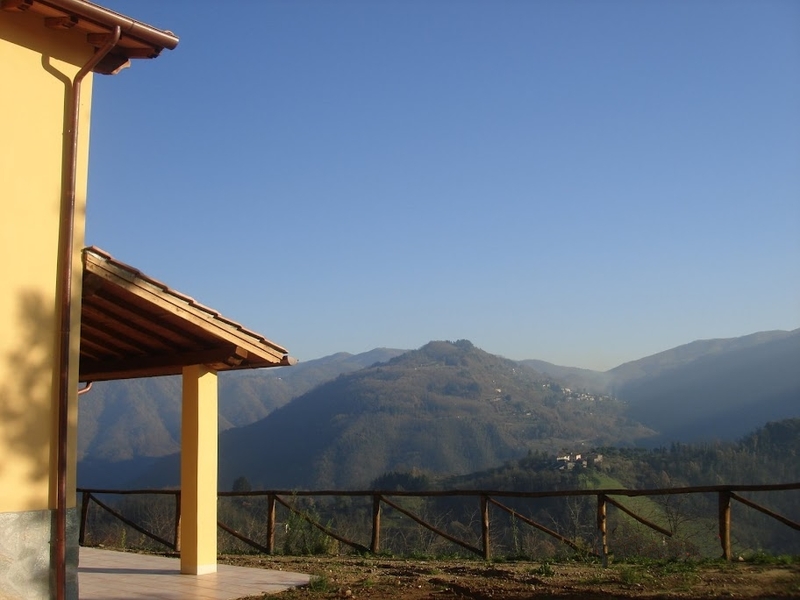 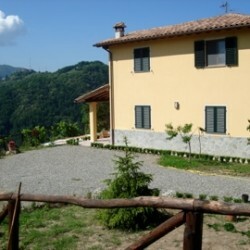 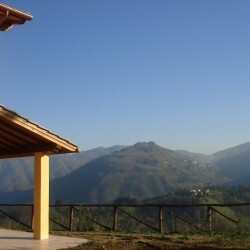 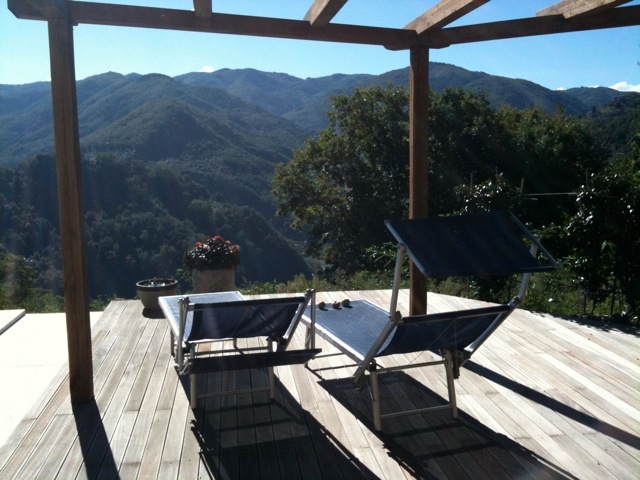 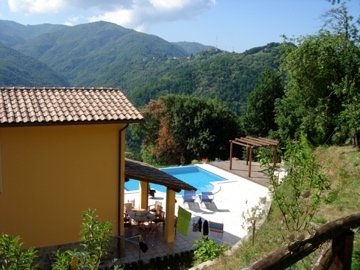 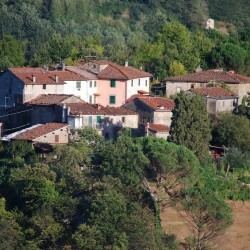 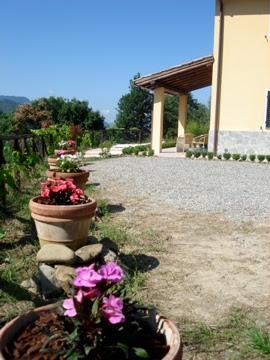 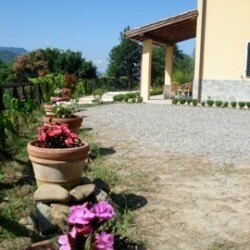 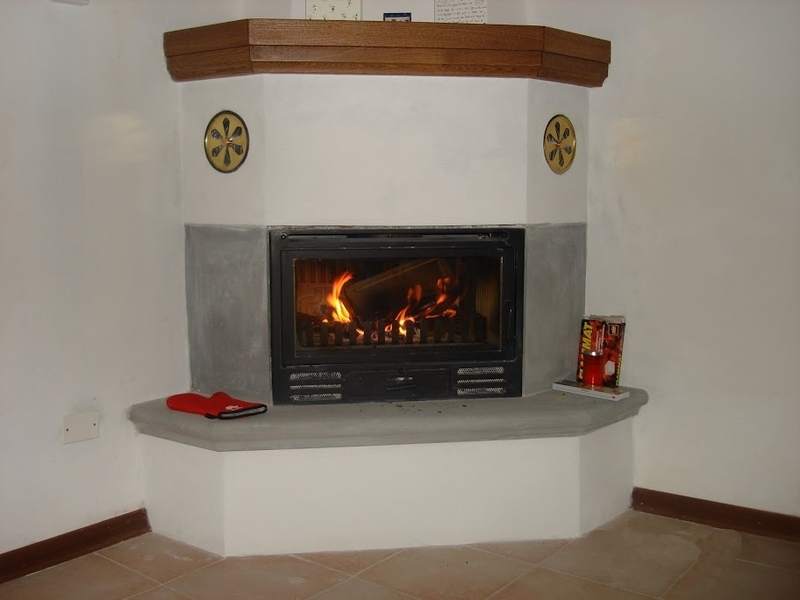 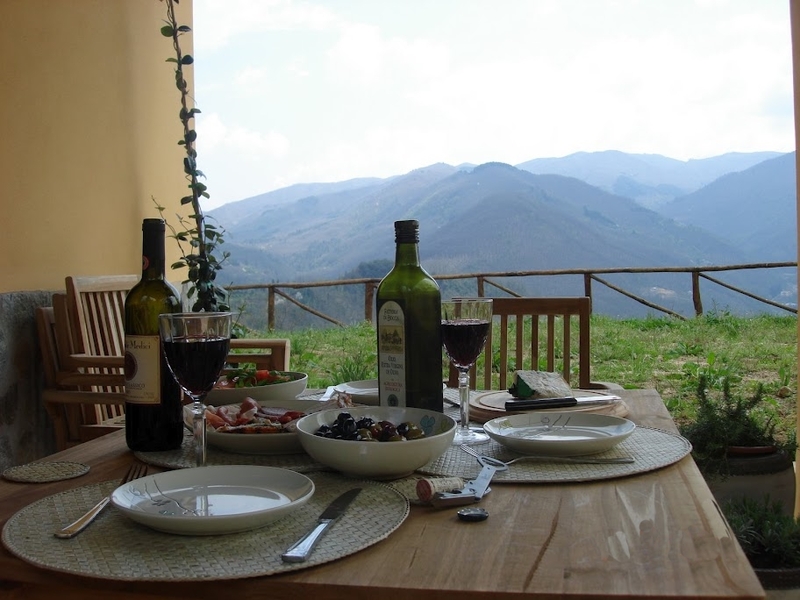 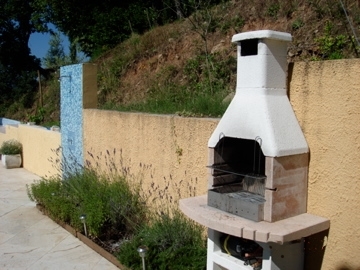 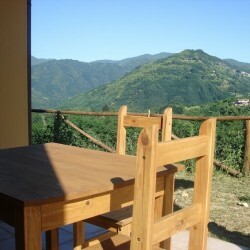 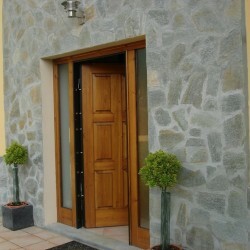 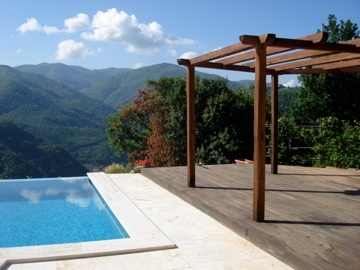 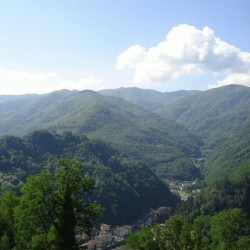 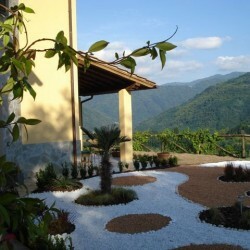 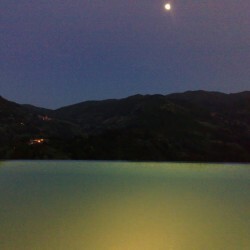 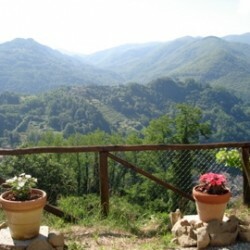 It is just below a village within walking distance and above the spa town of Bagni di Lucca, with views of it. 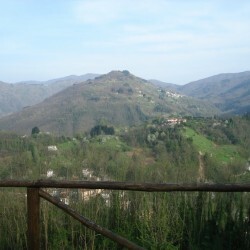 It’s about 1.5km to the village, which has a restaurant. 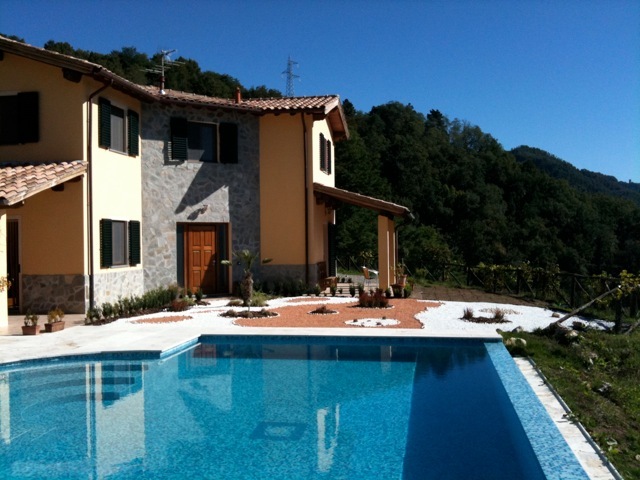 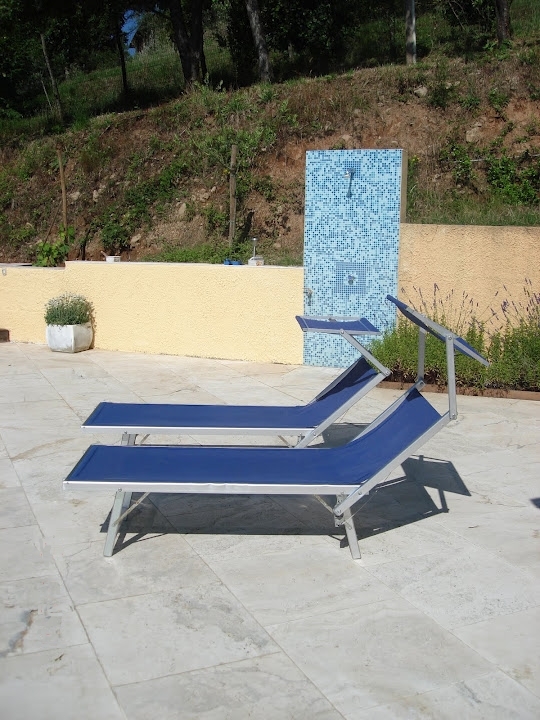 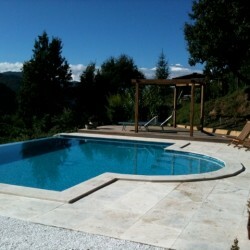 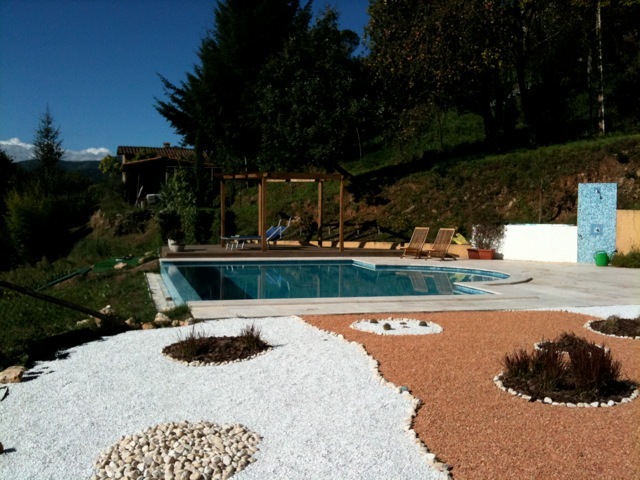 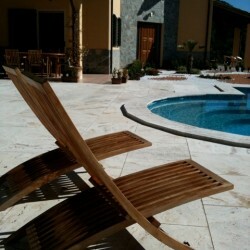 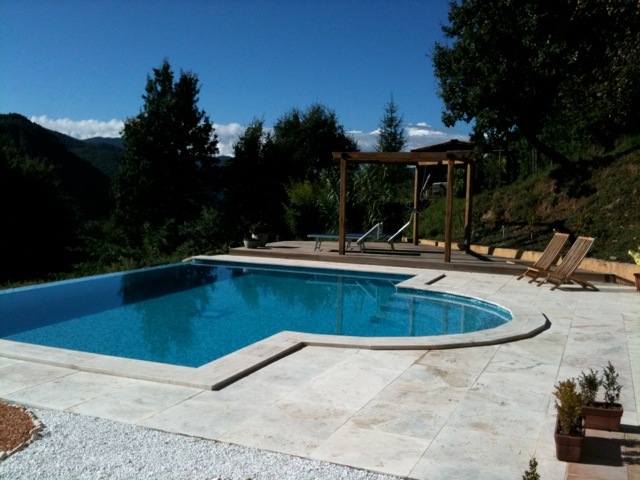 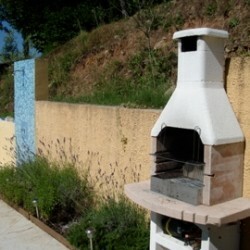 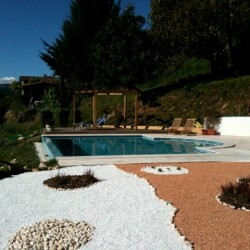 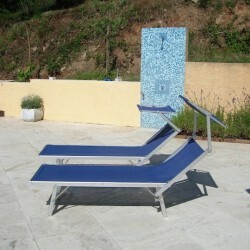 All other services in Bagni di Lucca 3km. 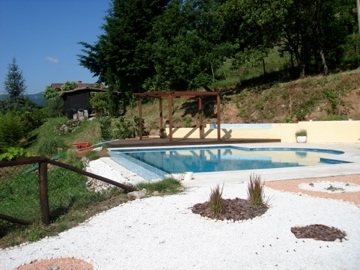 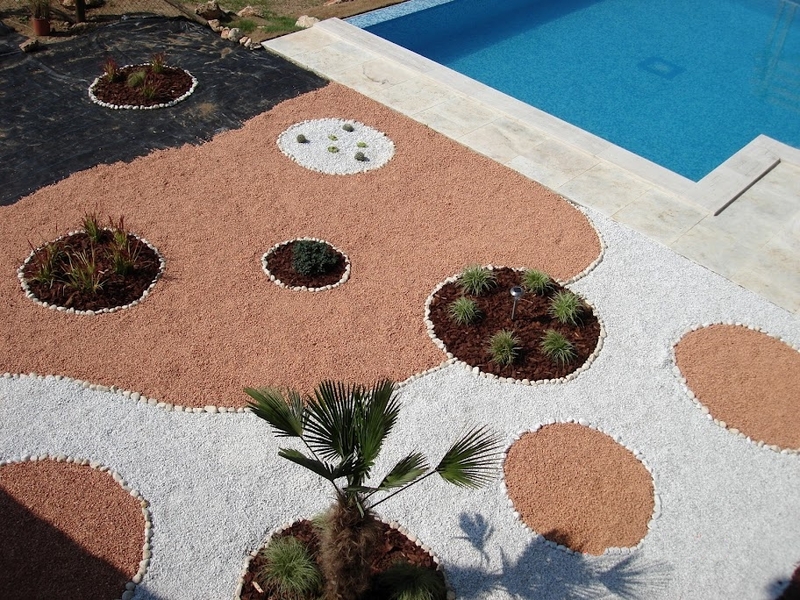 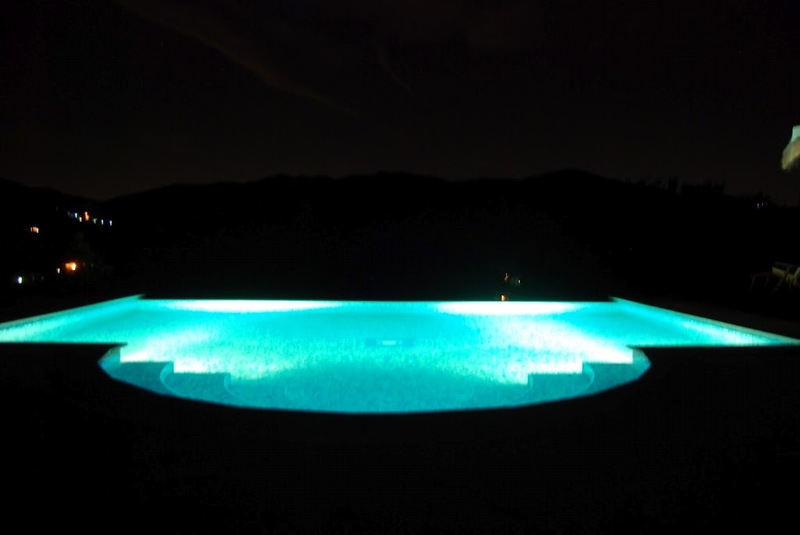 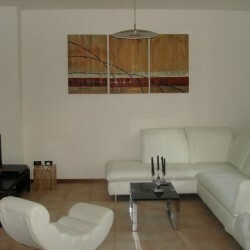 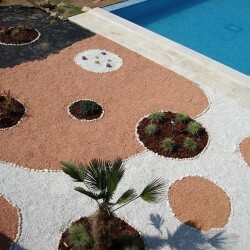 Land – private land of 2845 sqm including house and pool (0.6 acres) plus 1/3 share in further land of 1055 sqm. 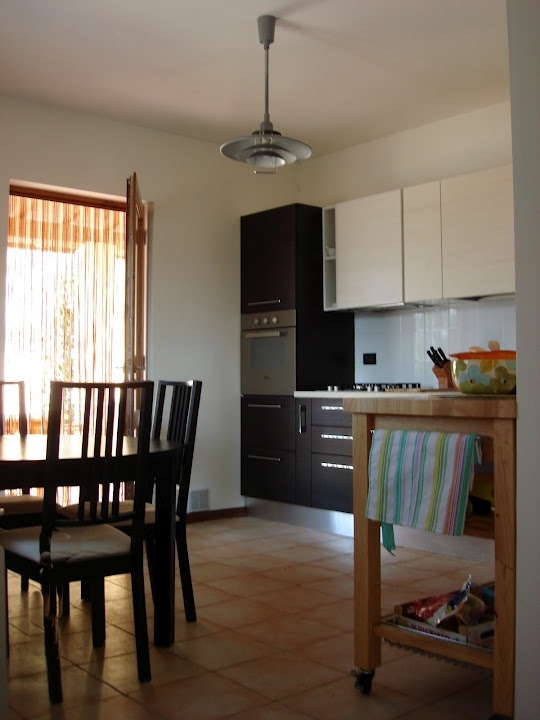 NB As this is a rental property, in the summer months viewings are only possible on certain Saturdays, during the rental guest changeover, and on no other days, sorry.